Welcome to the July roundup collection, celebrating my best loved products of the month. I’ve been braving Spanish weather for the last 2 weeks and couldn’t have done it without this. Bascially a presurised spray canister filled with beautiful Avéne Eau Thermale Water that cools, refreshes and cleanses all at the same time. A carry bag must! Designed for a normal/combination skin type that is prone to intolerances. Particularly in the sun my skin becomes more sensitive and reactive to certain products, but this helps to keep it calm, soothed and hydrated. Read the review. Now what an innovation, finally a product for both oily/combination AND sensitive skin types. This product really cleanses the skin effectively, removing all the grime and build up without making you need to immediately run for a moisturiser for lack of hydration. Seriously, just buy one. Read the review. Really hydrating in the summer sun and protecting you with an SPF 25. It doesn’t feel too greasy on the lips but nourishes them perfectly. Read the review. A great chemical sun screen that gives long lasting protection (roughly 3.5 hours uninterrupted at SPF 30) with Solar Smart Technology – meaning that you can’t sweat it off and it won’t be warn away by UV light. Again, a great counterpart to it’s body partner, offering the same level of protection but without greasing up your skin, in fact it’s oil free. I told you this was going to be my summer fragrance and it still is. I absolutely love this, it’s light and fresh which is what you want in hot climates rather than deep and sweet fragrances. It lasts all day keeping you sweet and smelling great even when the weather has other plans for you. Read the review. Great price and great smell. 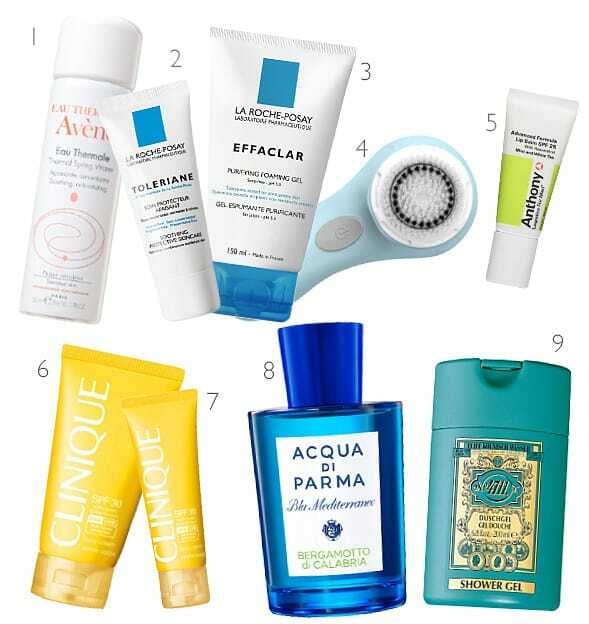 It really complements that Acqua Di Parma through subtle layering as well as giving a great cleanse. This really does foam well in harder, more mineralised, waters – making it great for taking abroad. This article first appeared on MANFACE written by Thom Watson. It was published on Monday 23rd July 2012 and was last updated on Monday 3rd April 2017 at 4:15pm. It's categorised under Combination Skin, Sun Protect where you'll find more related content.